Even if you've been digging on Born Ruffians' sophomore effort Say It since its release this summer, it's always good to skip to something fresh. Thankfully the Toronto boys have something in store for you via a live off-the-floor performance on Daytrotter. Juicing up sun-smooched dance rock cuts "Higher & Higher" and "Retard Canard" with some of their live show effervescence gets us even closer to the act, while also giving us another couple months of life out of the seriously scratched-up disc we've been tossing around all summer long. 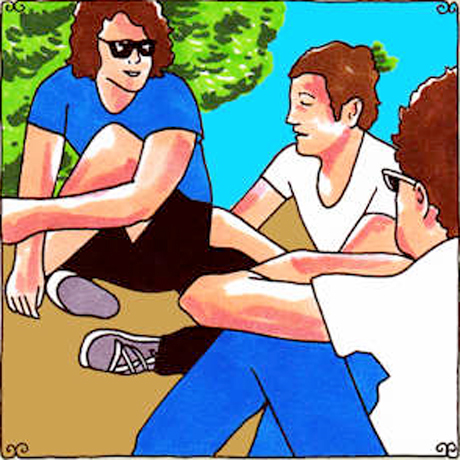 Download Born Ruffians' Daytrotter session here.